Development was the priority. This may sound kind of obvious, but so often strong leaders can miss this point. Rather than striving to develop, they strive to further their cause, vision or organization at the cost of developing their people. 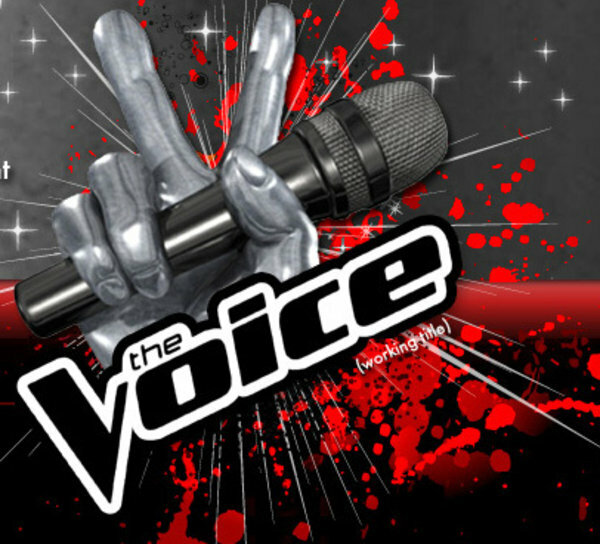 The Voice was so impacting because each of the four all-star coaches (Adam Levine of Maroon 5, Cee Lo Green, Blake Shelton, & Christina Aguilera) were as concerned with developing their artists as they were that they might win the competition. The principle I saw here is developing people should always be a priority, not just getting to a destination. Fame was a tool not a goal. As is true for most reality shows, superstars use them to continue to further their own careers and reputations. In this show, that was NOT the case. Each of the coaches were adamant in using the fame they had and pushing their artists to the forefront and allowing the young artists to shine in the spotlight, rather than themselves. In doing this, these superstar artists actually further endeared their fans to them, and even caused some of us to become new fans. My wife and I had never even heard of Blake Shelton before this show, and now my wife can’t stop singing his hit, “Honeybee”. The principle that stood out was when you are given a platform, be willing to share it and watch that platform grow. The coaches invested more than just skill, but heart. Each of the coaches met with their artists numerous times, and in those meetings, they were not simply giving tips and “How To’s”, but they were actually opening their hearts and investing costly emotion into these up-and-coming artists. Blake Shelton made the statement on the last show that his final artist, Dia Frampton, had actually become like a member of his family. I don’t ever remember hearing that take place in any other competition reality shows like this. I loved the emotional investment these coaches made and the lasting relationships that were established. The principle is that, although costly, combining skill development with emotional investment will produce a person not only skilled but walking forward toward success with a valuable advocate at their side. Maybe you didn’t watch the show (you can watch episodes on Hulu here), but what do you think? Do these principles apply to your leadership or life? Let me know what you think here. And if you’re wandering, the winner of The Voice was Javier Colon – check out his music in iTunes here. For the last few months, I have embarked on a journey like none I have walked before. Heidi is such an amazing woman of God and I am continually impressed with her strength and encouragement. As we have walked this path of planning out our wedding there are numerous things we have both learned. Over the next few posts, I wanted to post some lessons I’ve learned already over these last few months (although I know there will be many more to come!). These are lessons that I’ve been reminded of or have learned through the process of planning the wedding with Heidi, but apply to life and leadership. So with that said, here is Lesson #1: Pay attention to your priorities. What are my personal priorities? Am I living those out or are they just words on a page? What are the priorities for the organization/ministry I lead? Do those I lead, know those priorities? 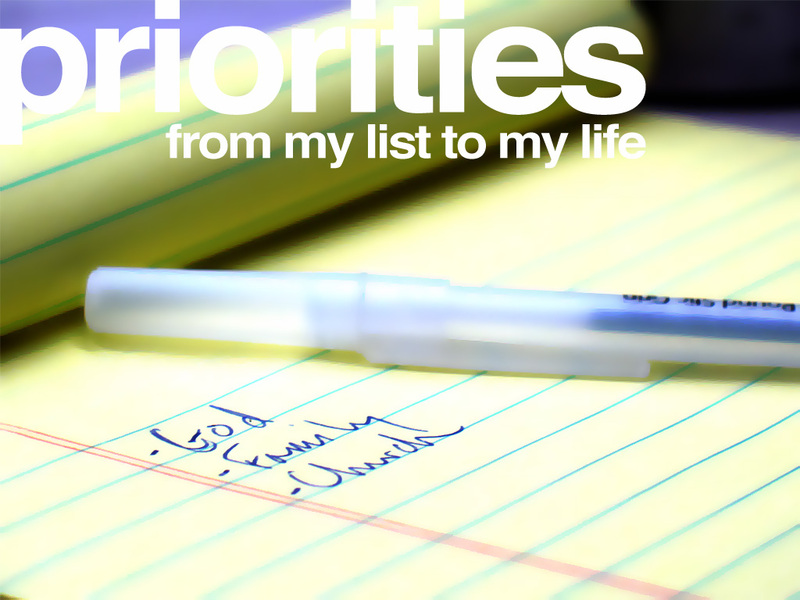 What am I doing to strengthen and maintain my priorities? AFFIRMING – Barnabas sought out unlikely people and projected the potential that he saw in them. No one believed in the Apostle Paul in his younger days as a believer. But Barnabas sought him out and invited him to be an Associate Pastor on his staff when he was leading the church in Antioch. No one believed in John Mark after his failure on the mission-field. But Barnabas stuck with him. COACHING – Barnabas did not just say, ‘watch me do it.’ He said, ‘do it with me and I will help you improve.‘ Eventually, Paul surpasses Barnabas as the lead missionary, which shows incredible security and humility on the part of this man who was willing to invest in the success of another. BLESSING – this may be the most important ingredient. The choice to speak in faith and in grace. The choice NOT to respond to criticism with criticism, or insult with insult, but rather with blessing. A culture of encouragement involves selective speech. It is teaching people to speak honestly, yet to coat their words with kindness. EXPERIMENTING – There was freedom under Barnabas’ leadership to fail. He took risks with the people he chose. He was pastoring a church in Antioch that was very unorthodox. There needed to be a high grace leader in place for the church to grow and become the missionary-sending center of the NT era. RELEASING – Acts 13 gives us an account of the church that Barnabas was leading (Antioch) – being willing to sow its very best leaders into Kingdom work. He leads his church into incredible generosity in what they chose to give. Read the entire blog post on Jeff’s blog here. Following our Catalyst Gathering, we also recorded a short 10 minute interview with Jeff on this topic for our upcoming MCM Podcast, which will be posted to iTunes soon. If you interested in getting an early glimpse of the interview, you can download it here. As we close out the first month of the year, most church leaders have taken a portion of this month to pray, dream and plan out this new year. Many have envisioned great things for their church/organization in this year and hope to close out 2010 having completed those great things. This is, however, where the breakdown often takes place for leaders. Most leaders are decent at the ‘envisioning’, but not so good at the ‘enacting’. In this new year, I want to challenge you as a leader to not simply be a dreamer, but to be a doer. Put feet to your dreams and who knows, you might just change the world! Once you’ve established WHAT you want to do or you want your organization to do, you need to quickly establish HOW you are going to do it. If you never move past the what, your dream will never be anything more then a good intention. Your organization, and especially a church deserves better then good intentions. Create clear, realistic action steps to accomplish the what. Once you’ve PROMPTLY established the how, set-up accountability to make sure it is completed. There are figurative junk yards all over our nation where great ideas that could have transformed the church as we know it now rest. These ideas never became reality simply because one or more leaders did not see the vision through to completion. Once you start a good idea, you must finish it for it to truly be good! This accountability might be colleagues that you share the vision with or it might be outside coaches/mentors. Whomever it is, this is crucial. As the popular saying goes, you will live up to the level that you inspect, not the level that you expect. Involve OTHERS in your dreams for this new year. Identify what you need to accomplish your vision and start to engage people that can help you. These people may not even be in your organization, but if they have something to offer in the pursuit of the dreams for your organization, don’t be afraid to engage them. Look for experts to offer wisdom, advisors to offer direction, and volunteers to offer energy and effort. I hope you as a leader are as excited about 2010 as I am! It has the potential to be an amazing year, but my prayer for you as a leader is that when December 31, 2010 rolls around you will be able to look back on this year without regrets and knowing that the dreams you had for this year were tried, some were realized but all were met with more then thought, but action! In the area of church leadership/ministry, there is a huge trap that many young leaders can frequently find themselves in. It is a trap that can entangle even the most equipped leaders…it is the trap of entitlement. Below I have listed some thoughts on avoiding this trap, but before I get into those, let’s explore briefly what this trap looks like. I now have a degree, THEREFORE I deserve a full-time job in this field. I feel I am a very talented, THEREFORE my superiors should appreciate the privilege of having me on their staff. I worked hard to get here, THEREFORE I shouldn’t have to work as hard to stay here. I could get a job anywhere I want, THEREFORE you better make the extra effort to keep me. Constantly remind yourself WHY you’re in ministry. Remember, it’s not about us, it’s about those that are far from God. Look for opportunities to SERVE others when it won’t benefit you. This means doing things that may be outside your job portfolio or you might consider ‘beneath’ you. Do your best to LISTEN more and talk less. Entitlement can often set in when we fool ourselves into thinking we know it all…you would be surprised what you can learn from those you consider the most ignorant. Have you ever battled with entitlement? What advice would you add? 1. Desperation: With this response, a leader’s desire to reach the goal becomes so great that the path loses significance. A leader that responds this way may use the common phrase as a guide to achieve their goal: “By whatever means possible”. The advantage to this response is intense perseverance. The downsides, however, overshadow this advantage. They include an unhealthy dependence on one’s skill, an often misinterpretation of reality, and a lack of concern for the process. When a leader responds to uncertain times in desperation, the result can often be chaos, and while the goal may be reached their team will reach that destination somewhat confused. 2. Dependence: With this response, a leader understands the reality of their uncertainty and the immediacy it presents. With this understanding they lead not out of desperation, but with a confidence and dependence on the one who holds the situation in His hands, God. While this leader does not move forward carelessly, they do move forward with a knowledge that their uncertain situation is still within the hands of an Almighty God. This does not diminish the need for diligence, but it does help the leader keep his/her head in the midst of uncertainty. This leader understands that we can impact the process, but ultimately it is God that controls the outcome. The result of this response is a healthy confidence and calm in a person’s leadership. This helps a team not feel overwhelmed by the stress of uncertainty, but be able to be respond with flexibility and wisdom. If you are a leader and find yourself in uncertain times, I would encourage you to respond with dependence, not desperation. The goal of any quality leader is to lead others to accomplish a task that the individuals of that team could not accomplish on their own. This is the valid and practical end goal for most leaders, and rightfully so. To do anything less would not be true leadership. In discussing leadership, though, we can often focus too much on how to mobilize our people to accomplish the goal or task. I believe it’s important that we lead our team in such a way that they are set-up for success, and not simply ourselves. In order to do this, point leaders need to make it a regular habit to ask those we lead this simple question: “How can I best serve and support you?” This may seem backwards to some, but it’s actually a very healthy practice for point leaders. It shifts the priority from simply accomplishing a task to leading people. While success with the task is important, the longevity of your team is crucial to the accomplishment of the ultimate vision. Look for opportunities to show support to your team and to not just be served, but to serve. The top-down approach to leadership died with the Beatles. This is a new day and we are now living in a new paradigm of leadership. People aren’t looking to be another ‘cog’ in the wheel. They desire to serve a leader that is willing to serve them. So as leaders, let’s shed our titles, pick-up a towel and serve. How are you serving and supporting your team? After completing a task, is your team better or is it burned? The greatest key for ministry is how you see. Work without vision is drudgery. Vision without work in lunacy. Everything you do starts with vision. Being in an environment where vision and growth are present. True vision is a work of the Holy Spirit. It doesn’t just come from your charisma, it comes from the Holy Spirit. To acquire vision, we need to seek the Lord. Every good pastor needs to have the gift of faith and the gift of leadership. Be wise with your vision. Know that not everyone will be able to grasp or handle the vision God gives you. You communicate vision to the degree that people are able to perceive it. 1. EXECUTE: The execution of tasks is understood, but very necessary. This is often how leaders come into the positions they hold. They are good at executing the tasks they’re given, so they are given more responsibility. In gaining responsibility or leadership positions, though, tasks don’t disappear, they actually increase. It’s vital that a leader can first lead themselves and manage their own tasks before they start working to lead & manage others. 2. EMPOWER: A leader that never empowers is a leader that is guaranteed to hit a growth ceiling somewhere right before they hit their nervous breakdown. As leaders we must empower and entrust responsibility to others. Developing leaders is not just a nice idea, it is a matter of your organizations long-term survival. Empowering spreads the base of your leadership and the scope of your influence. If you’re wanting to grow the number of people your organization touches, grow the number of people your leadership touches. 3. ENVISION: Leaders are often good at developing these first two, but envisioning will many times becomes an afterthought. Leaders cannot simply lead out of simple dreams and wild aspirations. To be effective, we must lead with well thought out vision. This doesn’t just happen, it must be intentionally developed. Just as you take time to read and develop your ability to execute or empower, set aside specific time to envision the future of your organization. When was the last time you blocked out a chunk of time just to dream; to think; to imagine if. Although this might sound counter-productive, you can really do nothing more refining for your organization. This not only gives you direction to execute towards, it also gives you the purpose to empower with.